Not enough of us are raising our concerns about the disproportionate and increasing numbers of black men and other vulnerable groups within the prison system in a unified way. The figures are staggering – the ethnic minority prison population has doubled in a decade, a quarter of the people in prison now come from an ethnic minority community and Muslims make up 12% of the prison population. The Labour MP Diane Abbott recently said of Labour’s time in Government, “ There was never a serious examination of the consequences of locking up a generation of young black men. The result is there are some prisons in the south east which are now virtually all black. Many are converting to Islam.” Most agree that prison as it currently operates, does not work and we are storing more fundamental problems for the future by not putting the resources into addressing these issues now. Whilst there is much said at a community level about the numbers of our youths behind bars, the messages lack consistency and a robust community centric evidence base that statutory bodies are forced recognise and act upon. There is still clearly much to be done in regards to the development of strong community partnerships that will be taken seriously and listened to by the likes of Boris Johnson and the new Justice Secretary Michael Gove, both of whom we have taught to view black communities as divided and therefore ineffectual. Those within government departments and quangos responsible for addressing these seemingly intractable issues, are often too far removed from those best placed to effectively deliver the solutions. For example, we all accept that mentoring is an important piece in the puzzle. Yet generic mentoring, which is often delivered through overwhelmingly ‘Guinness structured’ organisations that unwittingly or otherwise exploit inexperienced and poorly trained practitioners, often not long out of prison themselves, is a recipe for disaster. Too often, contracts are awarded based not on actual ability to deliver, but on the sheen emanating from the veneer of competence larger organisations are better able to project. Poor commissioning and a lack of understanding regarding the importance of capacity building community based assets are taking us further down the road with unpredictable consequences for us all. or relationships with their bosses. This individual reticence, has an even greater adverse impact as a consequence of the pervading culture of compartmentalised professionalization that exists across government and perpetuates the fragmentation of commissioning that has persisted, despite the efforts of many to change things for the better. The newly formed Community Rehabilitation Companies are in competition with each other and therefore far less willing to share best practice than was the case under the previous structure. I am not arguing for a return to the previous model which has clearly been consigned to the pages of history. However, I am saying that if we are to address these worrying trends, serious thought must be given to the needs and impact of black offenders across the board, with consistency of approach across all departments and private sector providers (CRCs etc.). 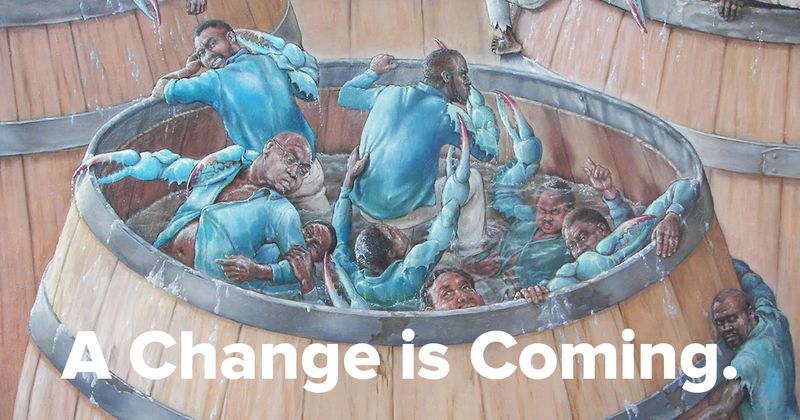 Our over-individualised and seemingly materialistic outlook on life often means that our black communities are often compared to crabs in a barrel by those outside and within the community, rather than as communities of interconnected and resilient individuals capable of coordinated action. Viv Ahmun: is part of the Choices Consortium and has been involved in the forming of social policy at a national and community level for nearly 30yrs.